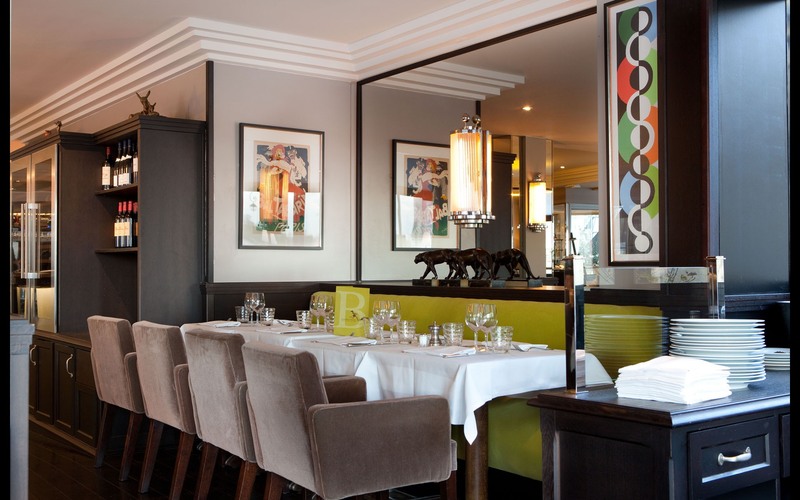 Created in 1957, the restaurant was called "Au Bon Coin" and was owned by the family PAIRAULT. 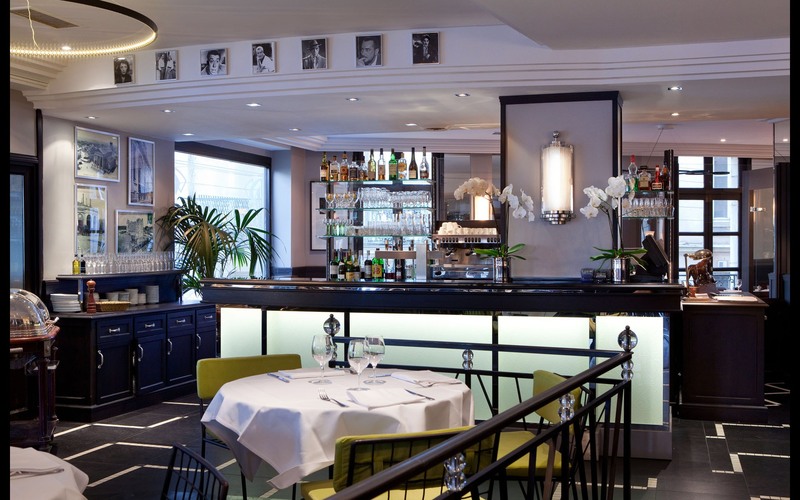 It was in 1989 that took the Brasserie du Théâtre Brasserie name under the influence of the former mayor Michel PERICARD who loved to frequent the Brasserie du Theatre Versailles and wished to have its equivalent on his commune. Its current architecture elevated to view the day when creating the car park below the restaurant and the coming of the RER A in 1972. 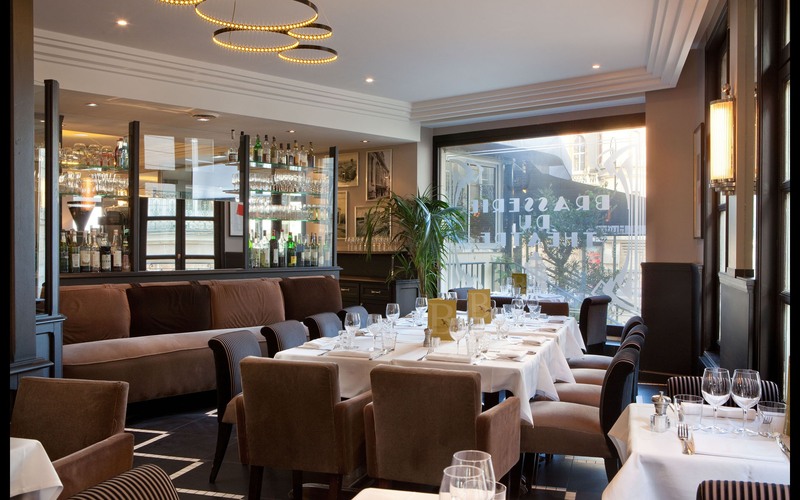 Repeated by Catherine and Philippe BRACON November 1, 2000, has become a staple of Saint-Germain en Laye that gets you in the purest tradition of Parisian brasseries with a nostalgic note in the background. 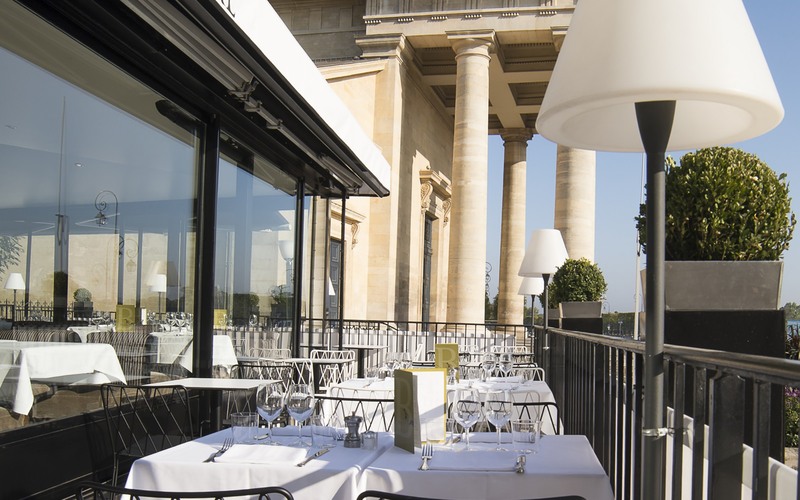 La Brasserie du Théâtre, is above all an authentic atmosphere, a mix of tradition and modernity with stunning views of the castle of Saint-Germain-en-Laye. Behind his kitchen, Chef put dishes in large to revisit the seasons and desires recipes of French cuisine. On the map, fish, meat and f r ruits of me, venues your desires to make you have a good culinary experience. 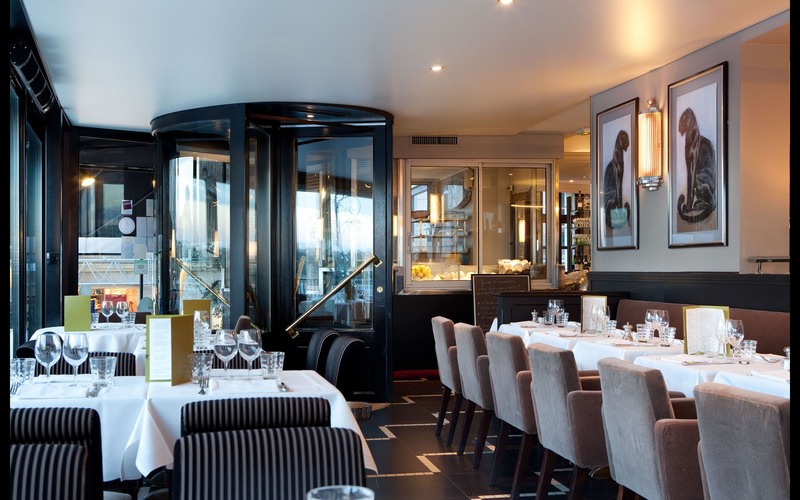 This large cozy brasserie style 30s modernized, which blends wonderfully broad s bench, flower bouquets, tablecloths and attentive service will seduce you for its chic and contemporary and is a safe bet for all your meals. 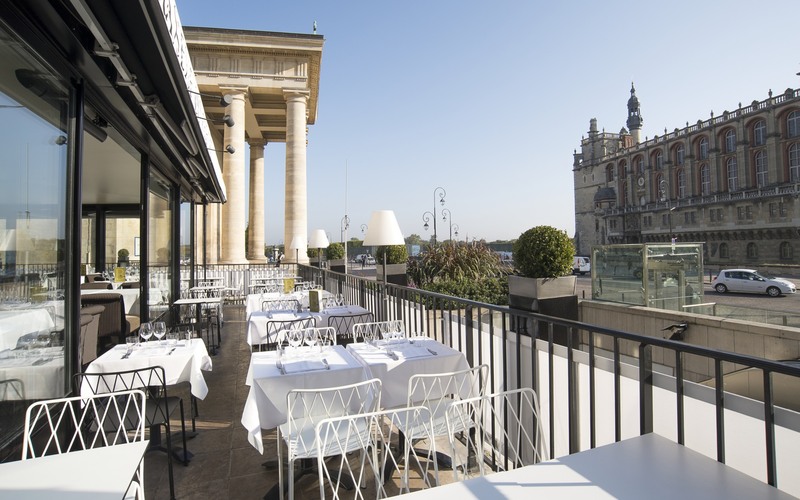 Come eat in a bar where a unique view of the castle of Saint-Germain-en-Laye and his Theatre open to you. Come and take a breath of iodine tasting our oyster trays of Quiberon and Seafood. 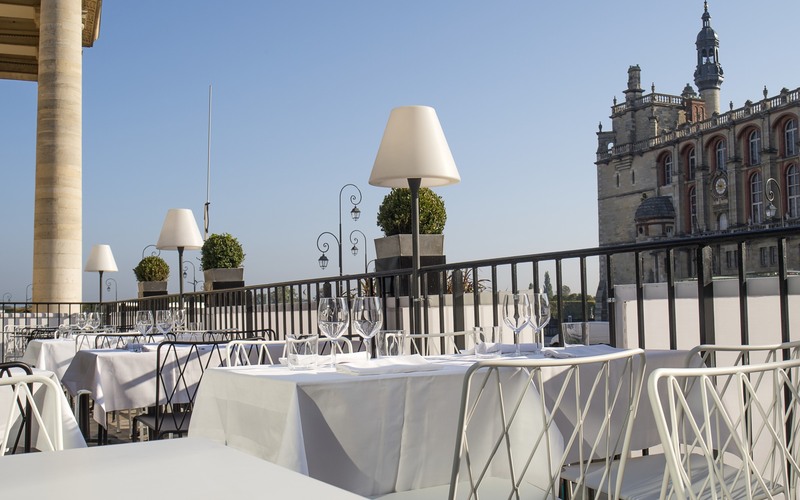 Our team will advise you to make you discover delicious dishes and make your meal a warm moment. To meet your various needs (business meals, romantic dinner or family lunch), various spaces available to you for comfort and a good time guaranteed.